The gap between the romance and reality of war was never greater than that experienced by the young men who fought in World War I, 1914-1918. Frank Walker of Charlottetown, Prince Edward Island was a 20-year-old machinist with a literary bent when he enlisted as a stretcher bearer with the Canadian Expeditionary Force in 1914. Like other young men, he expected an adventure. Over the next three years of serving in some of the worst battles of the war, including Ypres, Vimy Ridge and Passchendaele, he charted his journey from innocence to grim reality in both prose and poetry. He compiled a vivid and revealing picture of a war that continues to haunt modern memory. Upon his return to Charlottetown in 1918, he went on to become one of the Charlottetown?s most respected newspaper editors until his retirement in 1969. He died in 1977. From a Stretcher Handle serve as raw and powerful reminders of what so many fought and died for. 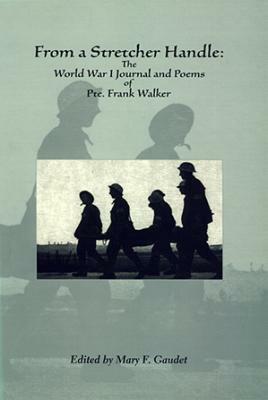 At the same time, Walker?s words set Prince Edward Island firmly in the canon of First World War literature.